This book review (for a book I have not yet read) caught my eye and put a new spin on time, one of my favorite topics. The author (of the review, and I presume, of the book) emphasizes that time is not an objective truth, but a subjective concept that we mentally construct. The fixed period of one day or one month can have such a different feeling depending on circumstances. When you’re having a bad day, or eagerly awaiting something that will happen tomorrow, a day can feel interminable. When you’re on vacation, an entire week can pass before you’ve even fully settled in. The author referred to this property as the “elasticity” of time. 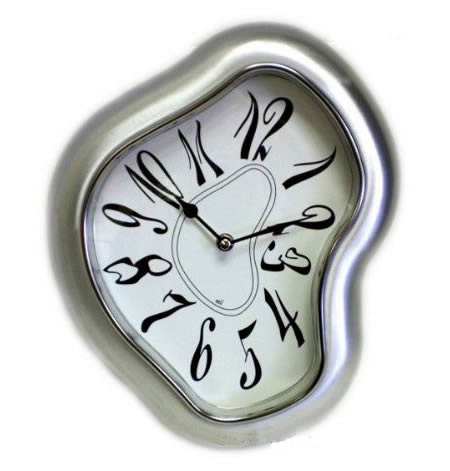 Perception of time is subjective, elastic, and variable. I really like this idea from the book, Time Warped: it is “strangely empowering to think that the very phenomenon depicted as the unforgiving dictator of life is something we might be able to shape.” I think a lot about how the language we speak might affect our perceptions of, thoughts about, and behaviors related to time, but maybe there are many other factors that can shape this abstract concept for us. The author also highlighted the relationship between time and memory, saying that time has an impact on memory, but memory also shapes our perception of time. Memories and past experiences shape our perception of time in the present, allowing us to relate what’s going on to things (and time) that have already passed.